Want to get the inside scoop on how to eat vegan in a super tasty way? 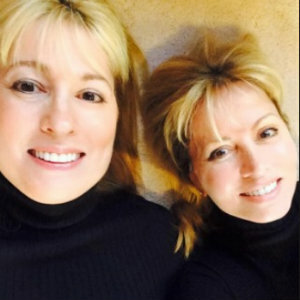 Sandra and Susan Sellani, 57-year-old fraternal twins, grew up like most Italian families — eating! They now live on different coasts — Sandra in Newport Beach, and Susan in Pennsylvania--and while they still love to eat, they’ve just switched to healthier recipes now that they are over 40. “Growing up, we always loved to be in the kitchen, watching our mother and grandmothers cook their famous Sellani Italian recipes,” says Sandra, the West Coast vegan who coincidentally is also the Chief Marketing Officer for See Jane Go, a rideshare App for women by women. “A year ago, Susan and I thought, why don’t we turn these family recipes into a cookbook for the way we both eat today — vegan or plant-based. But like most Italian families, no one had written down the recipes! Lucky for me, Susan is the one with the memory and remembered most of the ingredients. So began our journey to writing and publishing, The 40-Year-Old Vegan: 75 Recipes to Make You Leaner, Cleaner & Greener in the Second Half of Life. “The 40-Year-Old Vegan includes a fifty-two-week meal plan to help easily transition to a plant-based lifestyle with old-fashioned, recognizable recipes and a realistic vision for looking and feeling good in the second half of life — without having to squeeze into a pair of size-two Spanx!” says Susan, an East Coast omnivore who enjoys meat on occasion. In addition to the 75 vegan recipes in the cookbook, the authors have included inspirational stories from other “40-year-old vegans” who have turned to plant-based living in their second half of life. Those featured come from all walks of life, from a certified personal trainer and marathon coach in New York, to an Illinois financial planner. It is the authors’ hope that these stories will shatter any myths or stereotypes people have about vegans. To learn more about the authors and The 40-Year-Old Vegan, visit 40yov.com. Mercy for Animals, an international nonprofit organization dedicated to preventing cruelty to farmed animals and promoting compassionate food choices and policies, is the beneficiary of ten percent of author proceeds from the sale of the book. The 40-Year-Old Vegan is available at Amazon.com, Barnes & Noble.com, select book stores nationwide and at the authors’ website.